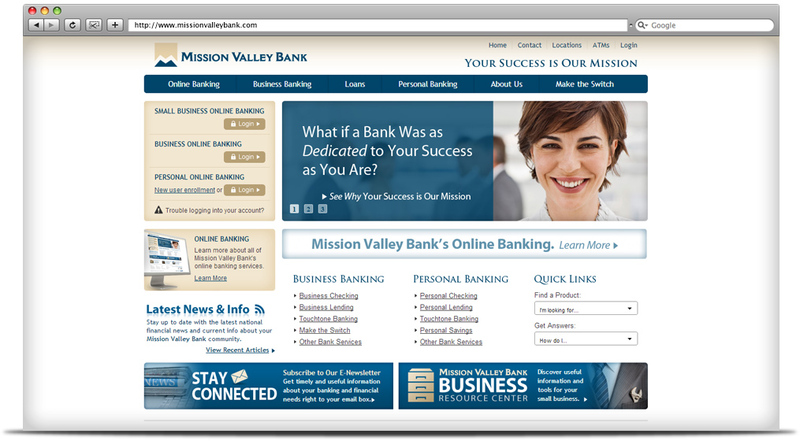 Because we’ve done work with Mission Valley Bank for years, one of our main goals is to keep them saying, “Wow!” each time they see our work. When we redesigned their website recently, we wanted to improve the customer’s impression and user experience, as well as attract new customers. 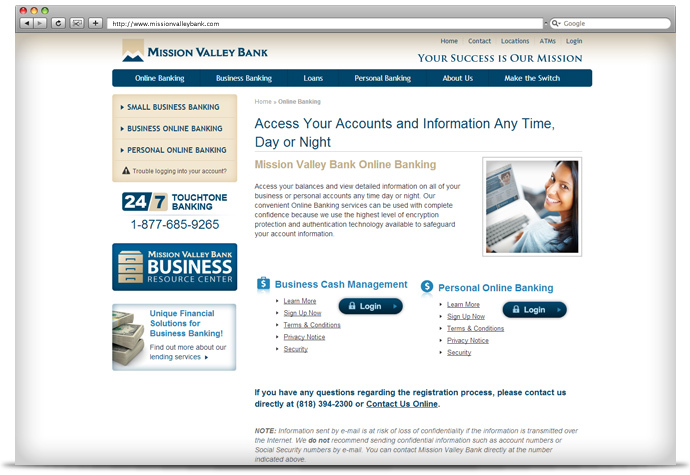 Mission Valley wanted the new website to be more contemporary and still remain in alignment with their branding. One of their specific goals was to attract new business customers. 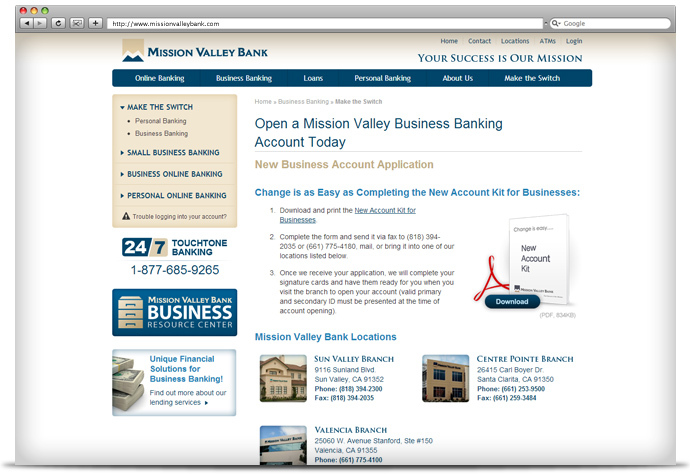 In the redesign, we created a new graphical layout for the homepage, inside pages and blog. 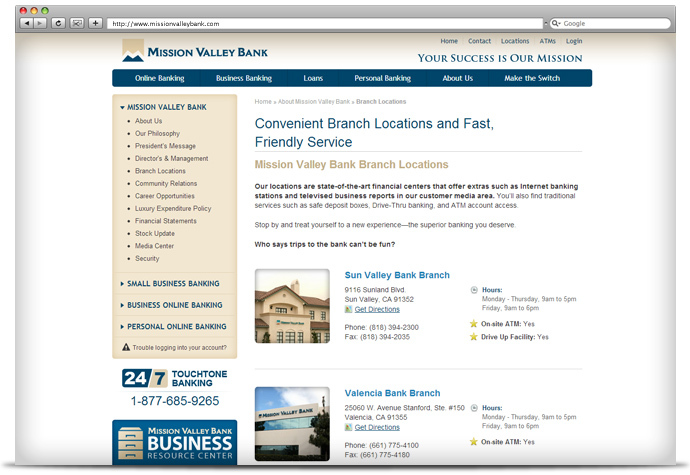 In doing so, we wanted to position them as the premier trusted advisor while ensuring the user could easily get to where they needed to go and that online banking was easily accessible throughout the site. 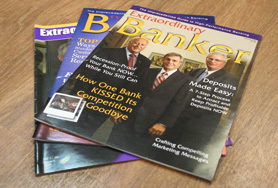 We just completed a full-scale marketing re-development project with Prime Concepts Group. Together we have completely re-designed and successfully launched our new website, re-worked all of our brochures, done a couple of billboards as well as our Annual Report and Quarterlies. I have found that Ford and his team truly understand how to ‘market’ and work to guide their clients (even when I didn’t really want to be led) to products and designs that are not just ‘pretty’ but to those that drive clients and prospects toward the desired outcome. New Celebrity Speaker Site for the "World's Funniest Motivational Business Speaker"
Call us at (316) 942-1111 or contact us to find out how we can help you grow your business.